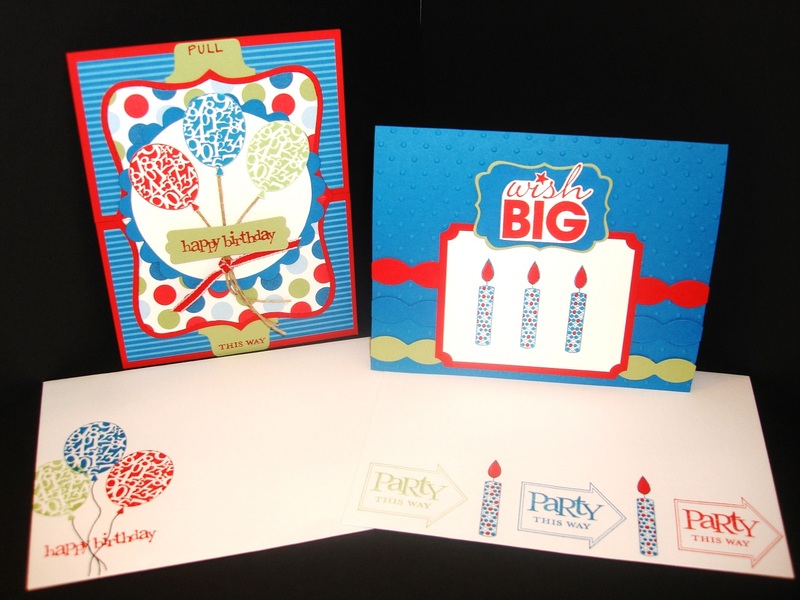 My other set of cards was just featured on the UStamp With Dawn and Friends...Cards with Cool Moves 2010 this morning. 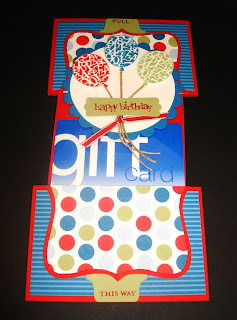 It is a Middle Reveal Slider that holds a gift card. 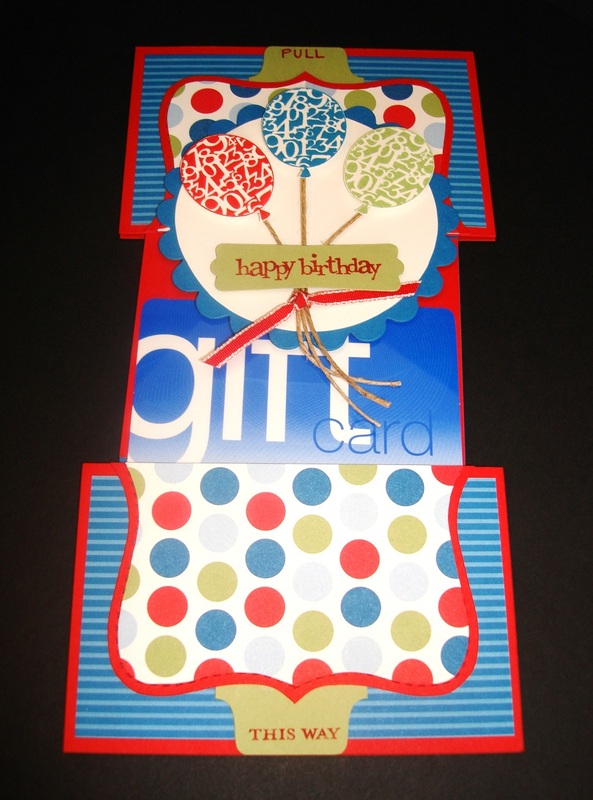 Perfect for birthday presents! 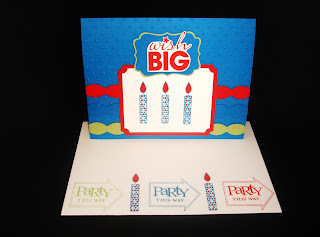 You can get a step by step tutorial on this on a PDF by registering at the UStamp website along with 40 other great set of Moving Cards that will sure inspire you! Super! This is a great project! girl you rock my crafty world!!! WAY better in person!!! Great job! This is a wonderful idea- thanks for sharing! 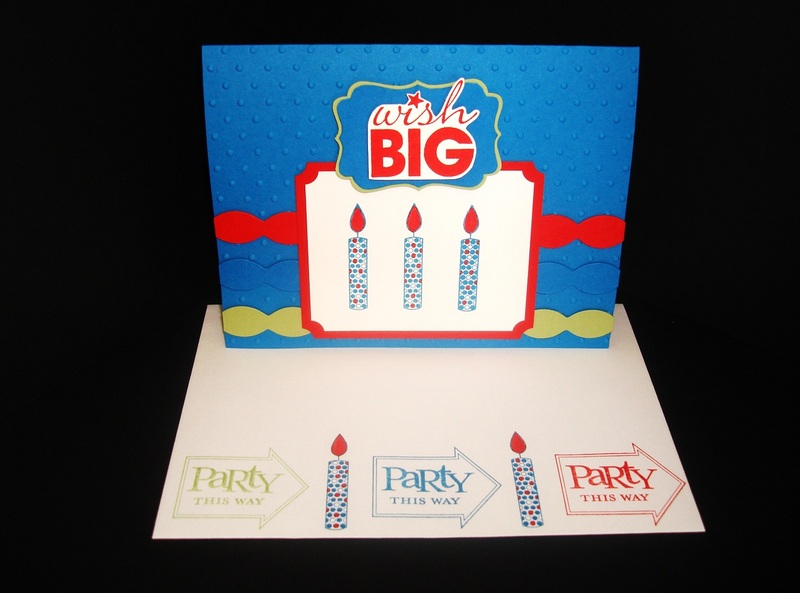 What a bright, cheerful card.